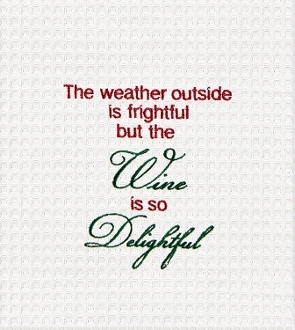 Add this Wine is So Delightful towel to your kitchen. The towel is made of 100% cotton and machine washable. Approximate size: 18" x 27". Measures 18 x 27 inches. Made of 100% cotton with embroidered lettering.